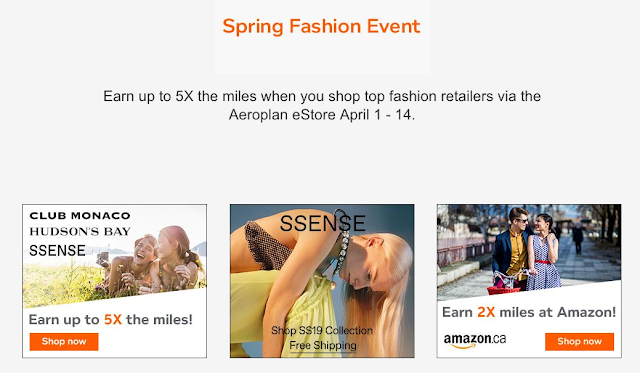 The Aeroplan eStore is running a new bonus offer of up to 5x miles when you shop at select retailers that fall under the Fashion category. From All Saints to Matt & Nat and a bunch of other retailers you can earn 2 to 5 times the miles with these retailers until April 14. Kind of wish this offer was on a few weeks ago when we made a significant purchase from SSENSE but what can you do that's the name of the game in the points and miles world! Find out more about this offer here!